The process of which several different means of transport are involved sequentially is called multimodal transportation. Only this type of transportation enables cargo delivery from other continents. Multimodal transportation has a specific complexity of arrangement, connected, first of all, with the necessity to match the time of departure and arrival of all the participants engaged in the delivery, strict coordination of actions of all the transport agents. Due to this, realizing all the complexity of the chain, our Company also undertakes responsibility for quality of surveyor services, as well as for the processes of re-stuffing transit cargoes at the "A" class storages from carriages / autos into containers for the following shipment by sea transport, as well as for the quality of reverse operations, etc. While arranging multimodal cargo transportation, the Company TRANSVOSTOK group takes into account all the components of the process: specific features of the transport, the necessity to optimize the transport scheme and choosing a rout, selection of individual parameters of such important associated services as customs support, warehousing logistics and insurance against risks, insurance of property interests and liability to the third persons. 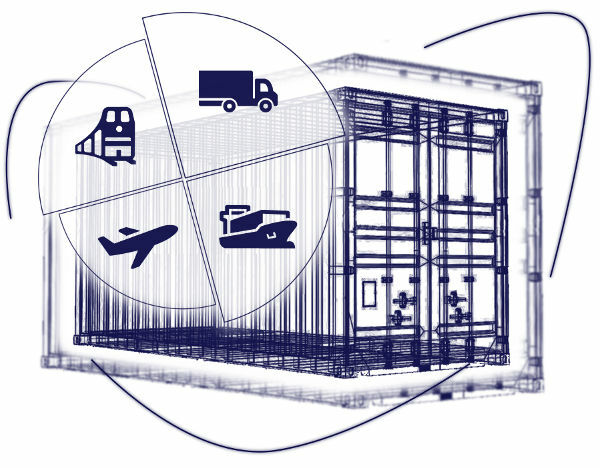 The regular following of the development tendency of the world transport logistics market enables us to react rapidly on your needs and to render high quality services in the multimodal transportation.